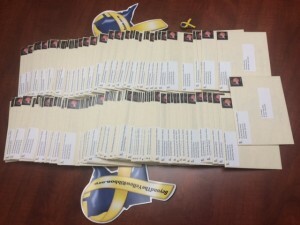 Invitations for the Northfield Beyond the Yellow Ribbon Proclamation Celebration go in the mail Tuesday, October 27, 2015. If you would like to receive an invite – email Virginia Kaczmarek (virginia@ northfieldymca.org) and we’ll get one in the mail for you! Everyone is welcomed – we encourage all military personnel, veterans and their families to join us – Nov 11th 7pm Middle School.